Ed Herbst writes: The Cape Piscatorial Society traces its origins to 1902 when the Western Districts Game Protection Association amended its title to include "Trout". 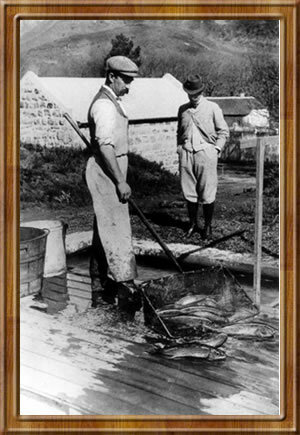 The Western Districts Game and Trout Protection Association represented angling interests in the Western Cape until 1931, when it was reconstituted as the Cape Piscatorial Society. As indicated in the article on the history of the Society on this website, the late AC Harrison, the founder of the CPS in its present form, published the first issue of Piscator in March 1947 and it became a valuable repository of articles tracking the evolution of fly fishing in this country. This folder will seek to make the best of those articles part of a permanent internet record which is accessible to anyone with a computer. A C Harrison forwarded letters and articles which he considered historically relevant to what was then the J L B Smith Institute of Ichthyology at Rhodes University in Grahamstown and those papers have been retained as archival records in the library of what is now the Department of Ichthyology and Fisheries Science at the university.